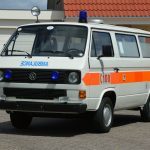 BlackBerry Javelin 8900 by T-Mobile Germany | BlackBerry Blast! 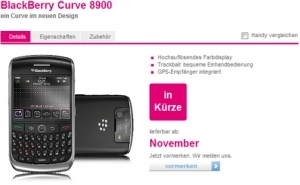 The BlackBerry Curve 8900 which used to have the codename "Javelin" has shown up on T-Mobile Germany's web site. The site says the Curve 8900 should be out in December. 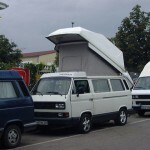 It features GPS, Wi-Fi, 480×360 HVGA+ screen and a 3.2 megapixel camera with autofocus. Interestingly, this phone is Edge only so there's no 3G support.